Low-glare, loop-in/loop-out driver. Includes white bezel. Order chrome 15728 and satin nickel 29523 bezels separately. Diameter 85mm. Recess depth 70mm. Cut out 70mm. 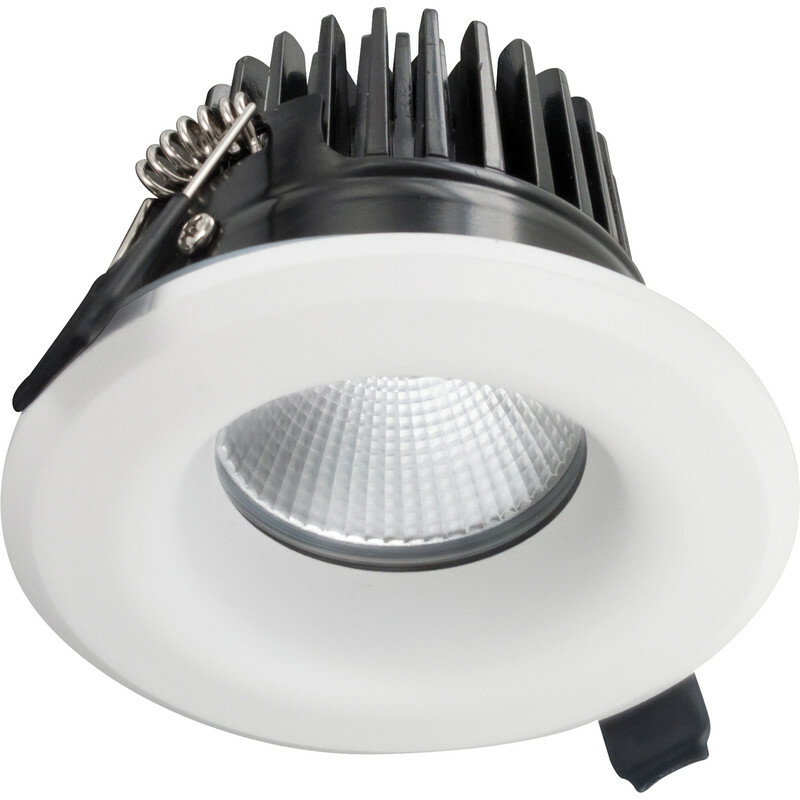 Integral LED White Integrated Fire Rated IP65 Dimmable Downlight 12W 55° Cool White 850lm is rated 5.0 out of 5 by 4.